Lighting store in Brussels. 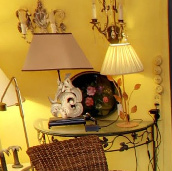 Art and Light, chandeliers, sconces, lamps. Would you like to obtain more information ? Write to us and we will reply to you as quickly as possible. 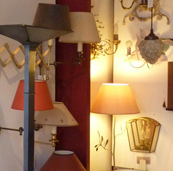 Whatever your needs, you can count on the expertise of Art and Light, lighting store in Brussels! You want to give a timeless touch to your interior? Art and Light offers sleeves, fake candles, placed on chandeliers. So go ahead and find the light that suits you at Art and Light in Brussels! We may also make sales in Paris. Tuesday to Friday : 10:00 a.m. to 6:00 p.m.
Saturday : 10:00 a.m. to 1 p.m.